In honour our contemporary homage to the brutal political factionism of the late Roman Republic I bring you sketches of our villainous protagonists and bitter rivals, Gaius Marius and Lucius Cornelius Sulla. 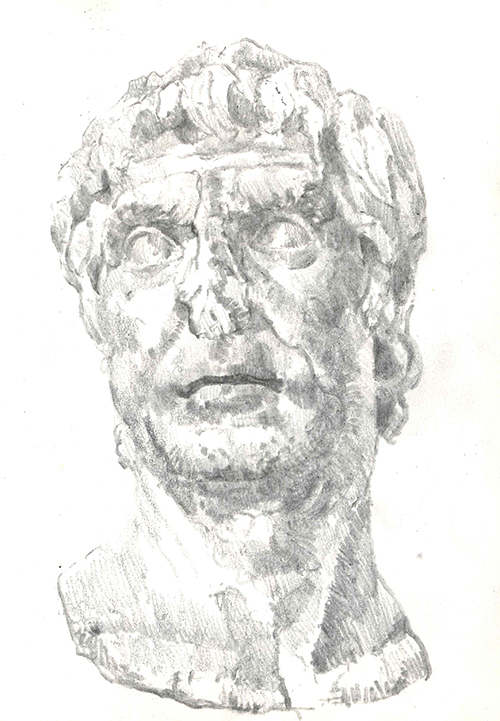 This is Sulla who according to Plutarch was red-blond, blue-eyed, and had a dead-white face covered with red pock marks. He was said to have a duality between being charming and easily approachable, able to joke and cavort with the most simple of people while also assuming a dictatorial stern demeanour when required. This duality, or inconsistency, made him very unpredictable and "at the slightest pretext he might have a man crucified, but on another occasion would make light of the most appalling crimes; or he might happily forgive the most unpardonable offences and then punish trivial, insignificant misdemeanors with death and confiscation of property" His epitaph reads "No friend ever served me, and no enemy ever wronged me, whom I have not repaid in full"